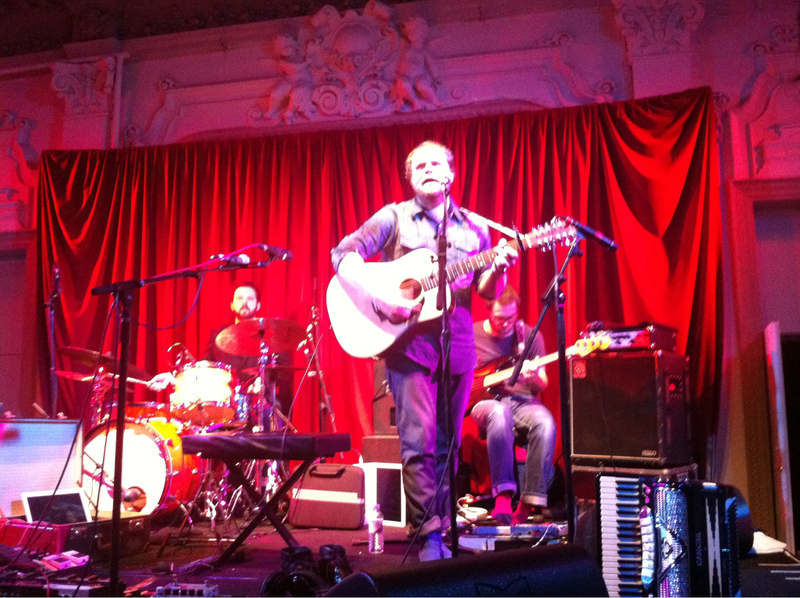 On the 6th May 2016, ten years to the day since he died, the Bush Hall hosted a fantastic night in tribute to the late Go Between, Grant McLennan. Featuring sets from the Left Outsides, Bill Botting and the 2 drink Minimums, the Wolfhounds (2 of them), the Wave Pictures, Pete Astor and band and Gerry Love for Teenage Fanclub with some friends in a great band put together for the night. The whole night was MC-ed by Stewart Lee who admitted the problem of doing standup at a rock and roll gig, doubly compounded by the fact of commemorating someone he clearly admired and whose music he loved. He did a great job and who knew he’d had a hand in writing one of the greatest songs of all time? He closed the night with a great story about how he persuaded Grant to change the lyrics of Cattle and Cane for the better and switch to acoustic from punky electric to fit the mood of the song. Sadly, he was let down by a lack of thanks on the sleeve when Before Hollywood actually came out. It’s hard to pick highlights from the music. The award for most obscure cover goes to the Left Outsides who gave us the Civil War Lament from a Jack Frost album. Stewart Lee threatened to top this later with the Tuff Monks single B side. Each band manage to channel the spirit of the Go Betweens and there were a couple of Robert Forster covers too so that it was almost like an evening with them during the eighties. Certainly, Bill Botting and the 2 Drink Minimums took me back to the Boston Arms in the mid-eighties in Tufnell Park. That night the Go Betweens had played many of the songs that ended up on arguably their finest album, Libery Belle and the Black Diamond Express, including Apology Accepted, performed at Shepherds Bush by Bill and members of his family (and watched by them too!). A great version. In the Boston Arms Robert and Grant were on fine form having just been dropped by Sire Records (one of many typical such happenings to them) but then taken up by Beggars Banquet. That night they gave us a stirring Bow Down and a magnificent Twin Layers of Lightning and encored with Jimmy Osmond’s Knock on Your Door…At the Bush Hall last night the Wave Pictures played a spellbinding set, including 8 pictures with epic drumming from Johnny. David Tattersall is such a great guitar player and he introduced some Wave P magic to Magic in Here. They conlcued with a raucous version of Karen, again reminding me of a night in the Town and Country Club when the original Go Betweens tore it up with an encore of epic proportions. Some people assoicate them with quiet acoustic numbers but Lindy, as well as being a senstive player, was a ferocious drummer on occasion and they weren’t above improvising and stretching out the song about the librarian! Anyway, respect to the Wave Pictures who are clearly big fans. David’s own song about childhood, Before This Day, is at least the equal of the great Cattle and Cane for that mix of childhood moments and reflection! Thanks to all the bands and Stewart Lee for their efforts in putting this together. And to the Bush Hall, a beautiful venue. This entry was posted in gig, live music, Music on May 7, 2016 by John. 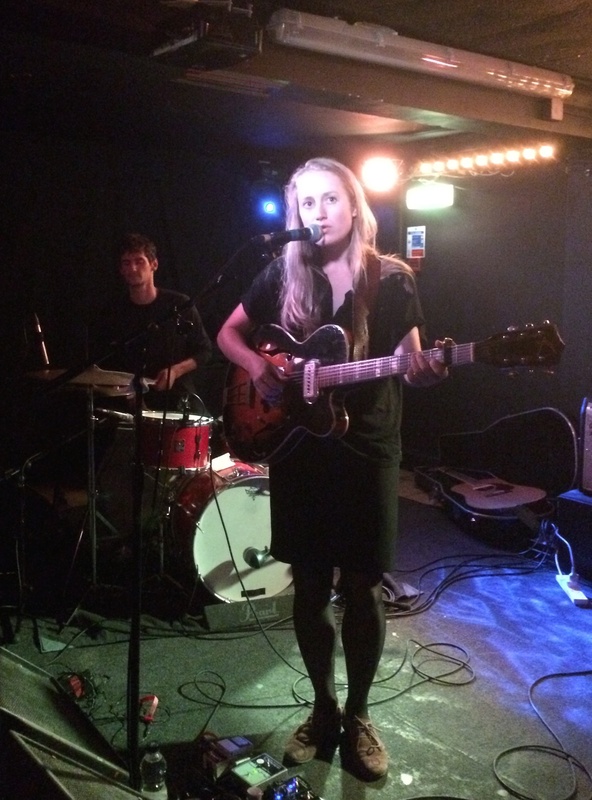 This entry was posted in live music and tagged gig, Live, live music, review, singer on September 18, 2015 by John. Hopefully we’ll do even more and better with the musical archaeology if we can locate the master tapes. For now, though, we can make out at least that Chance was a simple song built around the pulse from a Korg synthesiser, some spacey guitar and bass strum and ethereal vocals. Extreme analogue. Not digital in any way (until now). There was a vague promise of further interest, I always thought, but we never followed it up…doh! Our musical roots and influences were in a mix of places. In addition to all the 70s and 80s pop and prog we were surrounded by, Peter and I had a shared musical love of electronic music, both the abstract shapes of early seventies Tangerine Dream and the precision and minimalist songs of Kraftwerk. But our imaginations were also increasingly fired by music coming out of Manchester (Factory, JD and New Order like everyone else it seemed), Sheffield (Cabaret Voltaire), Liverpool (Echo, Teardrops), Crawley (early Cure) and New York (Talking Heads). 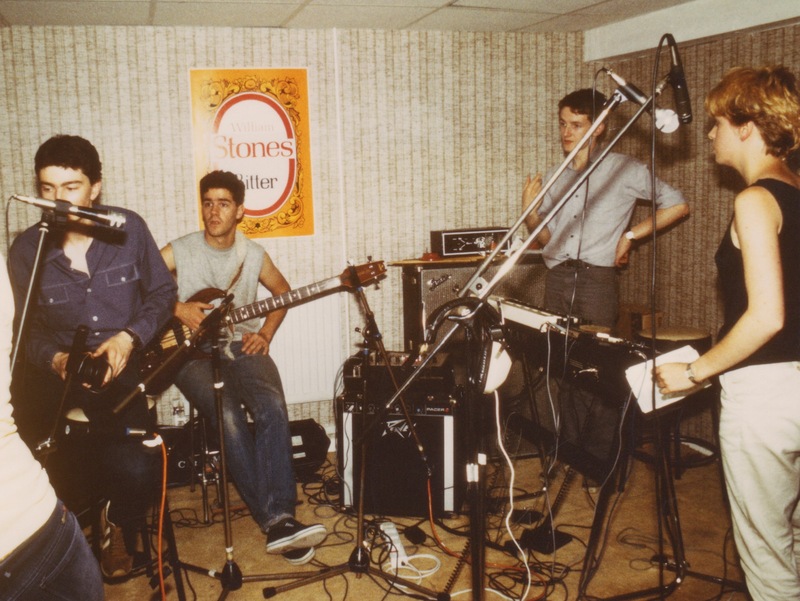 And we already knew people or friends of theirs at least in the Leeds scene around the Faversham (Sisters, Mekons, Three Johns, Age of Chance, Son of Sam). 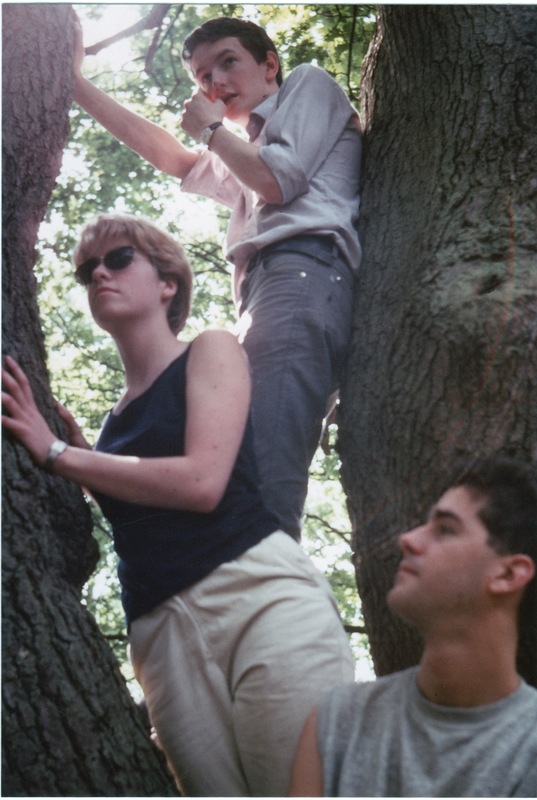 The one band who really encapsulated for us some kind of new possibility and musical touchstone in those days was the Young Marble Giants. From Cardiiff. They remain other-worldly even now; they set out on an original and largely unexplored musical path, managing to be influential but not copied, mysterious but affecting, and with submerged echoes of things we loved (Eno’s Another Green World is somewhere in there). Basically, no one else sounded quite like them. No one else does even now. A rhythm box, an elastic bass, a tightly strummed electric guitar, Farfisa organ (which famously fell to bits the night I saw them play the Rock Garden) and the pure tones of Alison Statton. Peter and I both came from Croydon. I was from the Lower Addiscombe area and Peter from the badlands of Penge/Beckenham. Dangerously close to Bromley. But we were both at school together in Croydon. 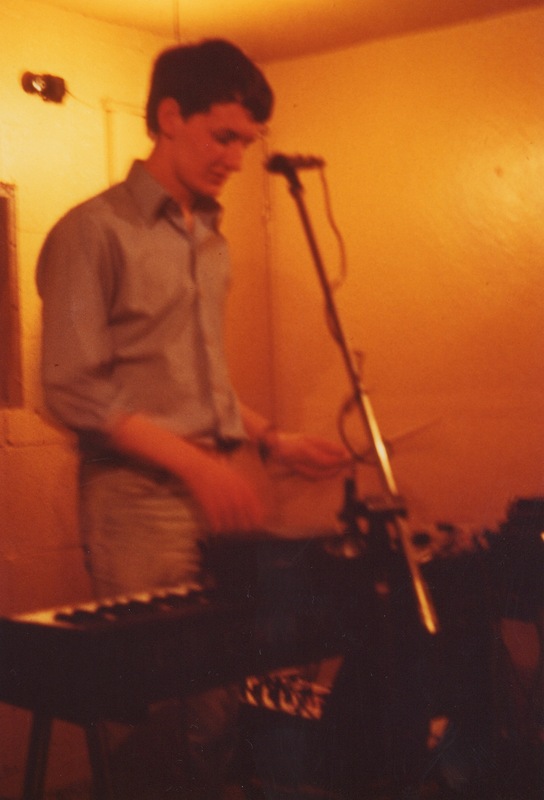 Many of my friends had been in bands and I had also played in other people’s – a prog one and a “new wave” one, both fronted and led by a friend of mine called Mark, who still writes songs under the name Mark Fox. And who’s still a friend. 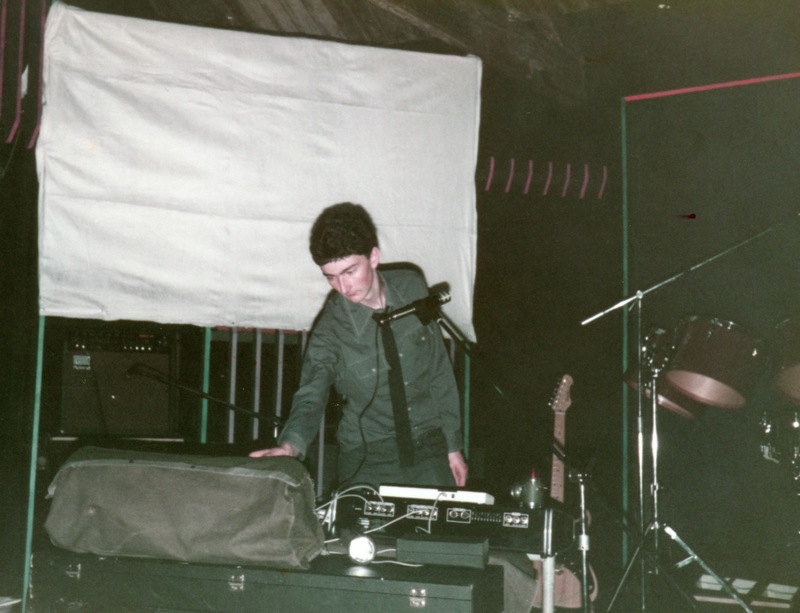 Peter and I had already started writing bits and pieces of music together on keyboards, his Korg Synth, my DR-55 drum machine and we were ready for our own musical project by the time we both fetched up at university in Leeds. We put an ad on the union noticeboard and asked for a singer who sounded like Alison Statton and we found the wonderful Sarah Quance from Sheffield, another great city, full of music and pubs and great people. We were called Loaded Silence initially and brought a number of those songs with us but once Paul Dillon of Radlett, Herts joined us on bass, we had the complete line-up and, shortly before Channel 4 started and launched a show of the same name, we had the name Eleventh Hour and some new songs started to come together. Songs were usually were brought to rehearsal by me and Peter with some words almost fully there, though by the end Sarah was writing great songs. But the actual music was always ultimately assembled together. We were aware of songwriting disputes in bands over out who did what, whether the arrangement was the thing or the chords that came in, or the melody the singer wrapped around the words. In our case, I think that the Eleventh Hour would not have sounded the way it did without everyone bringing something into the mix. 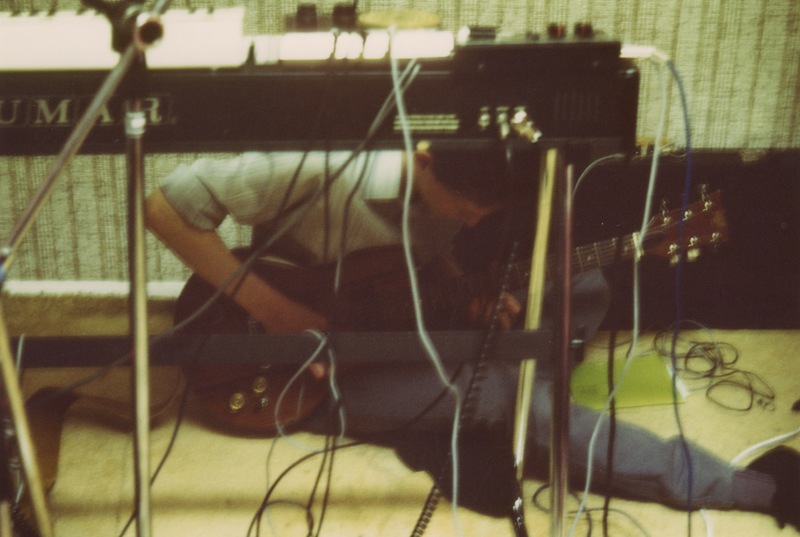 Our sound was quiet, analogue, fuzzy, warm, partly synthetic, partly organic and woven together with real enthusiasm. If we’d signed to anyone, I like to think we would have said it was all written, performed and played by The Eleventh Hour. What were the songs about? Given our musical influences and given where we were from, buildings at night featured heavily. “Hometown” is a tour through the Manhattan of South London (yes I do mean Croydon but the lyrics were anonymised from my first draft which was actually called “Croydon my Croydon”. Hi ho.). “Hotel” observes a massive neon hotel at night. “Chance” represents one of our most original sonic pieces with a distinctive pulse that Peter created on the Korg and some guitar in the distance and strummed bass with, I think to this day, Sarah’s loveliest singing. “Stress” saw us doing the whole instrument swapping thing in a piece which Peter brought almost fully formed. 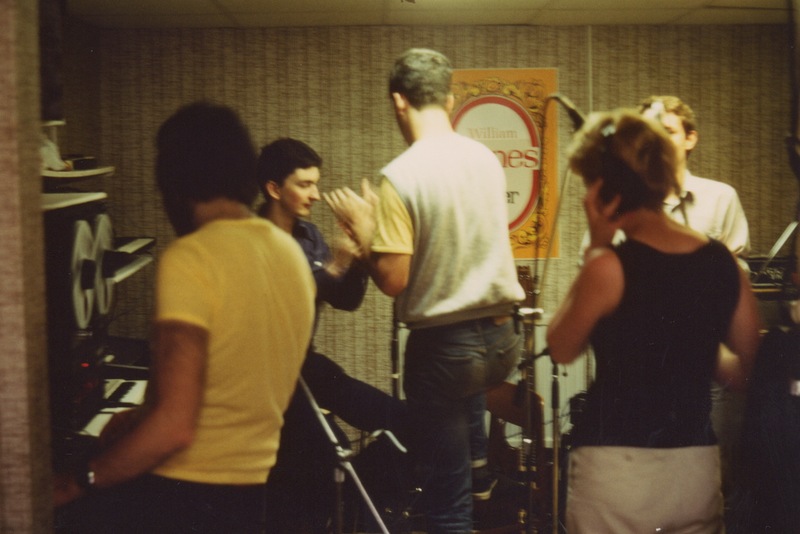 For some reason I moved to bass, Peter to guitar, Paul to keyboards and Sarah to electronic percussion. We all enjoyed it but live there was a bit of a hiatus while all this took place! “Midnight Special” was always my favourite to play because of the long keyboard outro with echoey, spacey piano. Here I was heavily influenced by the loveliest of all Kraftwerk songs, the original version of “Computer Love”. Well, you have to aim high. There were others, and more being written all the time and brought to rehearsal, including “From Where I’m Standing” which Sarah wrote the words and melody to. Everything came to an end with a kind of future left unfound. There was no acrimony that I can recall. It just ended. I had most of my musical equipment stolen – along with about half my record collection. I guess the DR-55, Crumar, WEM, Peavey amp, Hondo guitar all passed throughout the back room of the Royal Park in Leeds 6. My records probably ended up back in the secondhand stores Gerol’s in the back of the Merrion Centre (from where they had come). It was a blow. And with finals approaching, we all packed it in for the time being which turned into “for all time”! 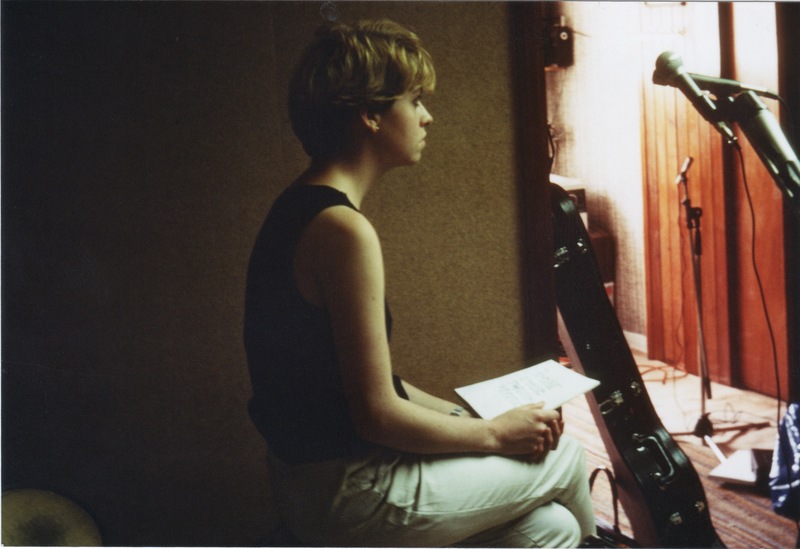 I have played and recorded on and off in and around my day job (most recently some instrumental music made in my shed), Peter will come back to it one day I know, Sarah sang in other bands and wrote beautiful songs, Paul joined the Cassandra Complex and, later, Bazooka Joe. But I don’t know where he is now. How important was Croydon to the sound of the band? I don’t know about the others but, for me, I think it was the starting point. It was a suburb. It was also a city. It had affluence. It had poverty in equal measure. South was rich. North was inner city and poor (a microcosm of the simple rich-poor map of the UK). There were tower blocks which set it apart from anywhere else. It had Beano’s secondhand records, Bonaparte’s and Cloakes’s for new albums and singles. It had the Fairfield Halls but also alternative theatre at the Warehouse in Dingwall Road. It had a big gang of people who were all in different bands or looking to do something, anything different. Much maligned and lazily stereotyped, as people have only now begun to point out (thank you Bob Stanley, John Grindrod and Andy Miller), it was my home town. As Neil Young would say, writing about growing up in Canada in, “all of my changes were there”. In fact when he sings “big blue windows behind the stars…” I see Croydon, not the prairie. And I think often about writing and playing those tunes, when I was pinging between home and university and travelling towards whatever was coming up next. This entry was posted in Music, Uncategorized and tagged 80s, Croydon, Electronic music on August 25, 2015 by John. His well chosen support act, Young Dreams from Bergen, open the evening on a bright energetic note, playing 30 minutes to a nearly empty hall which gradually fills through their set. Lots of music has gone into their heady mix of beats and harmonies and they will go far I’m sure. Their enthusiasm is really infectious and I’m sure they’ve gained from travelling good company on this tour. This entry was posted in Music on February 21, 2012 by John. Laura Veirs was playing a short series of dates to promote Tumble Bee, the collection of children's songs she released last year, and to test a couple of new songs out and dip into the back catalogue. Some of the stops on the tour inlcude free concerts exclusively for children and carers; there's been some toddler moshpits around the bubble machine along the way, she informs us from the stage – like a miniature version of the punk bands she played in previously. But tonight the children's songs are limited to two – including one with full audience participation – through they fit seamlessly in and make sense, even in the formal QEH setting. Most of the audience are here to see what she will do with the back catalogue again. Many are people, like us, who have seen her many times before. And every time I think I might not be able to make it, afford it, should I see someone new…I always end up going and I always end up completely entranced. Every time is subtly different yet always effortlessly good. She takes the song – form to some new places. She uses chords and riffs, time signatures and strange arrangements that you don't hear anywhere else. This is a performer who is really genuinely not easy to categorise. You could say "folk-Americana" and you wouldn't get it. You could say "singer-songwriter" and you wouldn't get it. Though with both you would be heading vaguely in the right direction. It's possible that whoever you are talking to would just mentally file LV under the same label as a thousand or more people who are currently standing there with an acoustic guitar and singing their songs. It's possible they would be thinking, like most people do, of a particular template. They may even yawn. And yet what she does lyrically and musically is so much more. There's a way she has of wrapping music and word up in warmth (and steeliness too) that is unusual and hugely involving. Something to do with the concentration and focus and enthusiasm in there. She looks like she is interested and that this is not just another gig but that it is a privilege to be making music of her own in these times and playing it for you. Tonight she is really well served by musical collaborators Alex Guy (violins, loops, keyboards, vocals) and Tim Young (guitar and vocal). 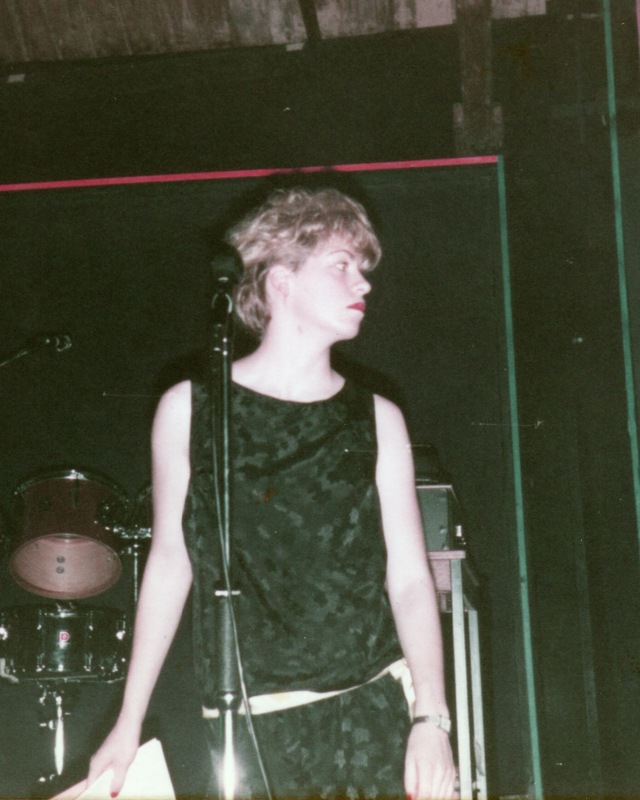 She's had some great bands down the years including the classic Tortured Souls line up with partner/producer Tucker Martine, Steve Moore and the Karl Blau. Alex and Tim provide a great mix of sensitive backing and playing, making these complex and beautiful songs and harmonies look easy. Laura treated us to a dip and spin through some wonderful back catalogue moments (Riptide, Ether sings) a lovely Neil Young cover (Unknown Legend) and a selection from last year's great July Flame. A couple of new songs (Shapeshifter, 10 Bridges) rounded out the evening, one of which written only the week before, both of which sounded like they could take their place alongside any of the back catalogue. She got a rapturous response and seemed a little stunned, as she put it, to travel all that way and find an audience on the other side of the ocean. She always will, I think. Now on tour in the UK then some more dates in the US before settling down to write a new album. The setlist was grabbed by a diehard fan who had seen Laura play many times. He allowed the picture – thank you! This entry was posted in gig, live music, Music and tagged Gig Music Live on February 3, 2012 by John. A Winged Victory for the Sullen. Cecil Sharp House. January 16th 2012. So…for the first time (for me) up to Cecil Sharp House, the spiritual hub of English Folk Music, on a Monday night to hear music of a different kind, A Winged Victory for the Sullen. The home of folk music is a strange and wonderful place, part arts centre feel, real ale bar, tea room, recital place, evening classes in folk dancing. Black and white photos of Ewan MacColl and the like…and a wonderful main room graced at one side by a fantastic mural. Great choice for A Winged Victory on reflection – an album made in an analogue fashion through ancient desks with real reverb in big rooms…The collaboration between pianist/composer Dustin O'Halloran and Adam Wiltzie from Stars of the Lid who met whilst working with the beautiful lost lamented Sparklehorse. Last year they released their self-titled album which, it's fair to say, doesn't naturally and immediately appear to lend itself to live performance. Mis-described in the Guardian Guide at the weekend as miserable music, this uplifting collection of electrical drones and piano and strings is genuinely uncategorisable. Some people can't cope with that. So, because it's slow it gets mis-described (again) as Ambient! Eno himself has said he often goes looking through the Ambient section in stores just to see what's there and it isn't usually anything of the kind. It's closer I guess to Jonsi and Alex's Happiness or Johanson's scores mixed with the back catalogues of pianist/composer Dustin and guitar drone specialist Adam (whose co-founder of Stars of the Lid Brian McBride also continues to make great music). But it's also none of those things. It is its own original scope and feel, so…best to leave the categories behind and just listen. Tonight, joined on stage by a string trio, O'Halloran and Wiltzie perform glorious versions of the tracks on Winged Victory. The long penultimate, soaring Symphony Pathetique works best with a huge crescendo of electronics and strings and something that looks like a guitar being played but makes unearthly, beautiful sounds under the control of A.Wiltzie. All the players seemed lost in the music but were also human and smiley – nothing solemn about this occasion (giving further evidence against the Guide's accusation of misery). I'll have to leave trying to pigeonhole it; we all will! If you sometimes like music which doesn't contain words or all the usual movement, which is mostly still but still changing and which just has the effect of giving you a healthy pause from the river of demand flowing your way then this is for you. Find them on tour and/or get hold of their lovely album. It will stay with you. Official site. This entry was posted in Uncategorized on January 17, 2012 by John. This is my favourite track off my album of the year. Every track on ‘Nothing Is Wrong’ is a gem but this closer is for me the highlight and like 3 or 4 tracks on the album sounds like it could be released as lost outtakes to Jackson Browne’s ‘Late for the Sky’ (also see Moon on the Water, My Way Back Home). Haunting, wry and at times a funny narrative based around three vignettes, a suicidal man overwhelmed by loss and life, an old man reflecting on life’s challenges while finding comfort in simple pleasures and a disillusioned groom to be challenging the pre-determined course life has set out for him. Even the guitar break conjures David Lindley’s haunting and distinctive guitar sound and the simple piano motif sticks in your head without jarring. Great to see Jackson Browne backing up these boys earlier in the year (and singing on the album too)- he can spot a talent and whether he is recapturing his Laurel Canyon days it feels less affected than Jonathan Wilson’s efforts. To me this sounds like timeless songwriting and exactly like a final track on a 70’s Californian album classic should. –Although the song came out on the wonderful Honey Slides EP in 2010 this remix was given away by Johnny and David the duo behind the Leeds based duo The Fossil Collective this year. As I have been waiting with baited breath for their forthcoming album, this remix provided some recompense. Born from the ashes of indie-rock contenders Vib Gyor (also worth checking out)the EP sits well next to Midlake’s Van Occupanther with a Fleetwood Mac seventies slickness but also a vulnerablility that the original band didn’t seem to tap into. This remix adds another dimension and diverts the slide guitar led epic ballad into a completely different thing. It has to be a good remix and an even better composition if I can’t work out which I prefer. Epic and beautiful track that soars with the simple but beautiful chorus: ‘I was prepared to love you, never expect anything of you,’ mixes Fleet Foxes with soaring indie sensibilities swelling with strings and brass. A truly wonderful vocal that wavers and tugs at my heart strings like no other track I have heard this year. Stunning Amy Ray track as good as anything they have ever done and the best thing by a country mile from their mediocre ‘Beauty Queen Sister’. Although I have history with this band and saw their first ever appearance in the UK at Ronnie Scott’s Jazz club in the late eighties (on my work experience at Greater London Radio) their many offereings have been patchy. This track reminds me that keeping on top of their output still pays dividends. Atmospheric with an gritty, brooding vocal from the edgier and darker of the duo with a trance like fiddle, vibes and with understated backing from Emily Saliers ensure I will always keep up with whatever they do together or apart. Never bonded with Beirut until this album – pleased to see the songs taking centre stage and not the influences and stamps in Zach Condon’s passport. This track possibly is the most straightforward track that he has ever done but feels all the better for it. I think this Melbourne songwriter wears his colours and love of US seventies singer/songwriters for all to see yet there is no doubt this is an Australian. Maybe it’s the space in the music and the simple, earnest no- nonsense lyric. This is a haunting, rambling song with a chorus that reaches a beautiful peak behind Cohen-esque picking and a wash of banjo. Confusingly his Blood Thinner album was recorded in a windowless room in California and in the motel Gram last stayed in Joshua tree. I would’ve thought there are plenty of ghosts closer to home. 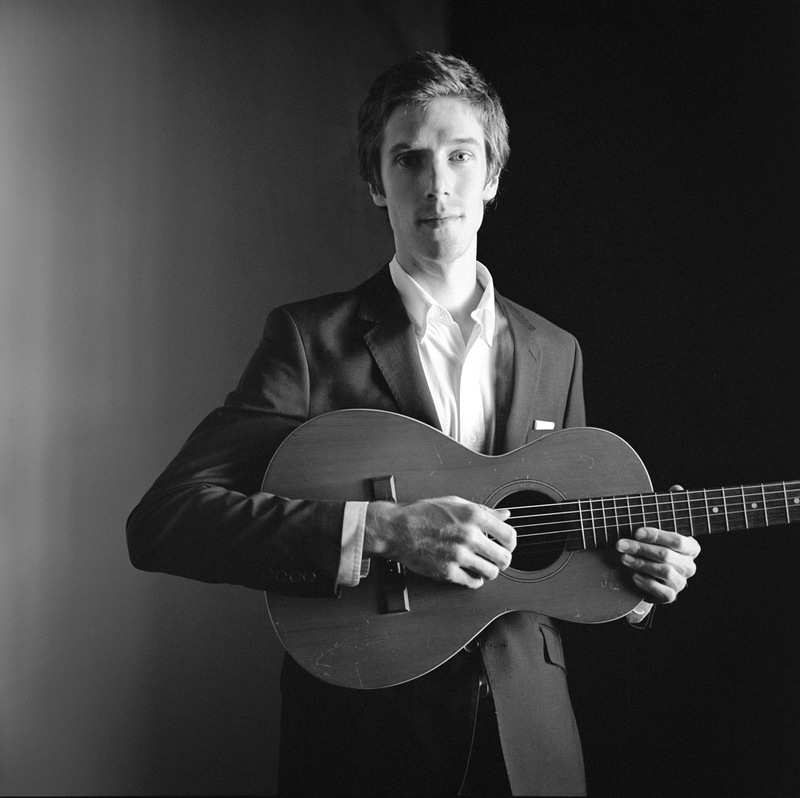 Great slice of Americana with a delicious resonating guitar and a few twists and turns. Couldn't find a clip but is available on itunes. Absolutely beautiful and sparse piano led version of the ol’ Appalachian Jean Ritchie song. I think Kris Drever is such a talent - an amazing guitarist with such a unique voice and hopefully more songs like this up his sleeve. 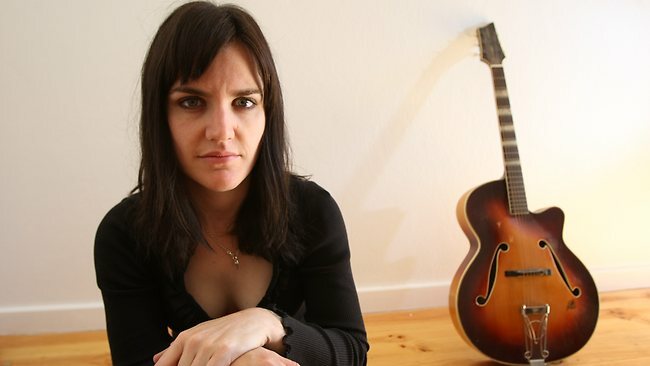 From isolated Bunbury in Western Australian (150 Km south of Perth- and where I considered emigrating to) – grungy blues guitarist one part Black Keys, one part PJ Harvey with a dash of Australiana thrown in. Love her ‘Design Desire’ album – check out ‘Blood River’ from that album as a contrast to this pumping pile-driving number. More aussies – this time from Townsville over in the East. Great music from an unlikely source. Although this is used in the film Franky Knight with Audrey Tatou this song is steepd in the sadness of the sudden passing of Emilie's fiance. Lots of fun, makes you want to be impulsive in a crazy rom-com way. Always brings a smile to my face. Love the video too. He has the beard and the voice and a rather lovely song too. Watch out Bon Iver. I love the Dark Side Of the Moon ending to this song. So melancholic and soulful with that lovely warm Fender Rhodes sound - brave to have this as the lead track off your album. It is something special though. You never know what Cass McCombs will come up with next having released 2 records in the past few months – both of them very good. I love this band so much and Al James is the nicest guy in music and I hope one day he is a household name. This first clip is from one of my fave gigs of the year. 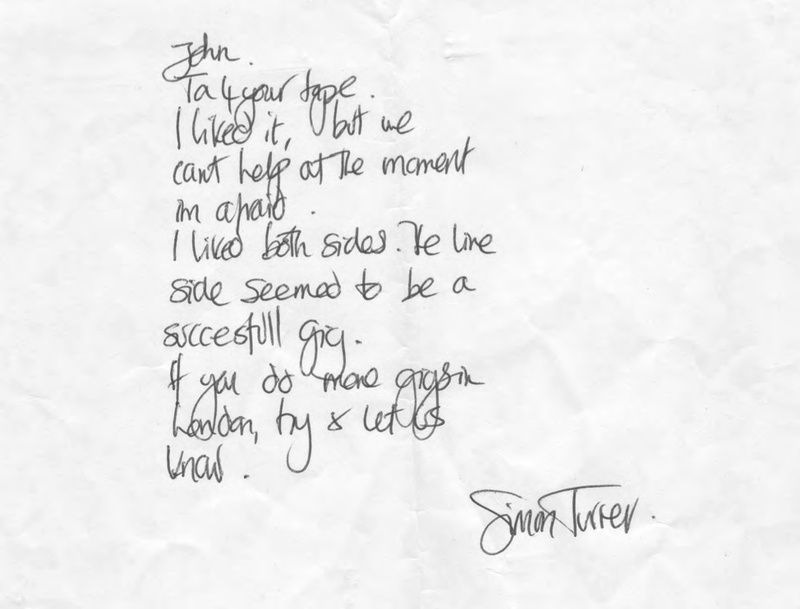 Love the lyric to this too. I forgot about Neil Halstead and have been a fan since Mojave 3 days, although this has an Xmas theme I am sure I will listen to this year round. This entry was posted in Uncategorized on December 24, 2011 by John.